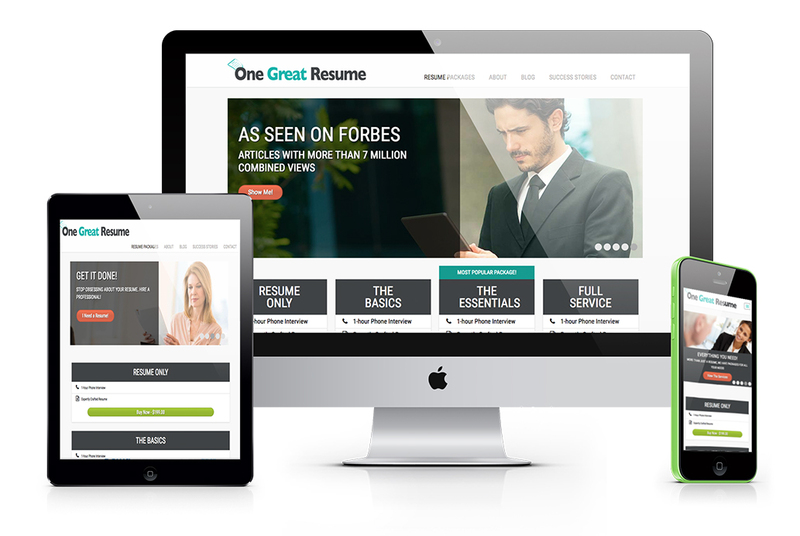 One Great Resume provides a wonderful help to job seekers, from fashioning a polished, professional resume and cover letter to giving you the experience you need to excel in phone and in-person interviews. Staying up-to-date with fast-changing best practices, they provide vital tools to land your next job. Create a user-friendly, service based e-commerce website. We knew going into this project that adding vibrant colors to the palette and acquiring visually striking photography would have a major impact on the design. These two elements alone changed the entire feel of the website. The layout was designed to emphasize the various solutions available. By highlighting The Essentials package, we were able to encourage visitors to make a purchasing decision. Identifying the language associated with the target market allowed for ad creation, driving traffic to the website.